TBPL Builders is all set to unveil a plethora of sophisticated living in Kochi. Kochi is one of the places that are blooming with life and almost everything that attracts the modern man. A few decades back when the IT sector started finding root into the buzzing life of Kochi, many people started moving into the Metro city. This established the need for building more and more homes to accommodate the ever growing population. Cochin is also a famous tourist spot. Apart from being popular as a tourist spot and an emerging IT hub, it is also one of the places in the God’s own country where people wish to spend the rest of their life once they return from abroad. A number of people spend a good part of their life in the overseas countries and are looking forward to enjoying a beautiful and cool life in the God’s own country amidst the nature. And, Cochin comes as the first place of preference for people. It is not only blessed with the beauty of nature in abundance but also, is under the urbanization revolution that is changing the living style culture of people everywhere. Some of the state’s best health care centers, educational organizations, companies, shopping malls, and now, the emerging Metro is Kochi’s pride. These are also some of the reasons that make people choose Kochi and the luxury flats and apartments in this beautiful metro city. The ancestral tradition of building independent houses is being replaced by the most modern trends of living in 1, 2, & 3 BHK flats and apartments and today, we can witness that this kind of a trend is emerging in cities such as Kochi and Thrissur. TBPL Builders have launched some of our most prestigious projects in the most pristine locations in Kochi. These include the G.K. Arcade located in Palarivattom, the P.K. 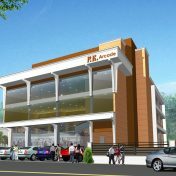 Arcade in Vytila and the Periyar Theeram located in Desom, Aluva. Periyar Theeram is built on the beautiful Periyar facing the Aluva Manappuram. Our apartments in Periyar Theeram are ready to occupy. We welcome you to enjoy the beauty of life in close proximity to the nature and you can enjoy the sophistication and urbanization of city life while in your Periyar Theeram apartments as it is very much away from the buzzing city life yet close to the city. TBPL builders are one among those builders offering all kinds of luxury and premium apartments in the most precious locations of the Cochin city. We build homes that are not just homes but more than that. This is possible mainly because we know what exactly our customers need and we are able to customize living spaces that meet their needs and expectations. Our homes are built on the modern concepts of architecture and engineering designs. But, the ideas are derived from traditional Kerala home building concepts. We believe in designing homes that conserve and exhibit the essence of our architecture legacy while we ensure to bring out the best of modernized art in each of the homes that we build. 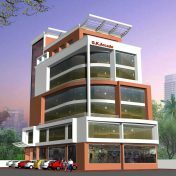 At Trichur Builders, we have a highly talented team of staff comprising of professionally qualified and experienced engineers, architects, construction consultants, interior designers and more. They know very well what the customers are expecting and they do not leave any stone unturned at bringing out the best in the flats, villas, apartments and other property accomplishments that we undertake. We provide all kinds of facilities and amenities that exhibit sophistication and modernization and support a luxury lifestyle as per your desire. We welcome you to experience the inexperienced feel of living in homes that are designed for you and you only.